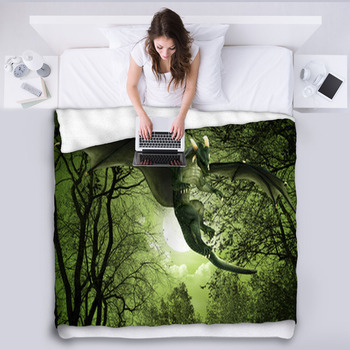 With dragon blankets by VisionBedding, you will be able to remember all your favorite childhood fairytales. 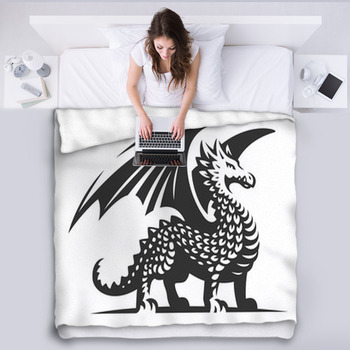 After all, you may recall that your favorite fantasy stories always seemed to involve dragons? 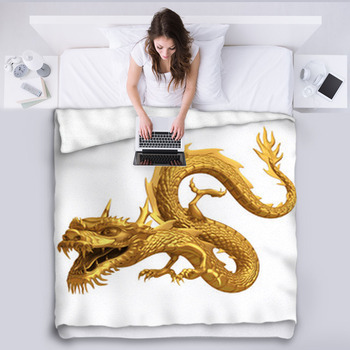 Your children can relive those fantasies over and over thanks to our wonderful collection of blankets with over 1,000 dragons to choose from! 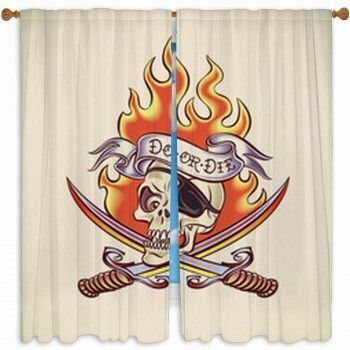 True, you can find blankets at any discount store down the street. 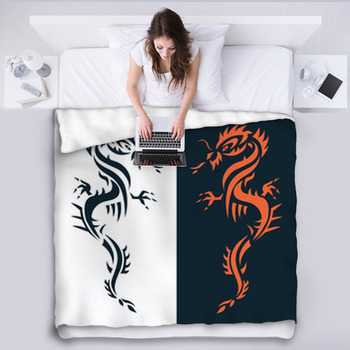 But you'll find nothing quite like VisionBedding's dragon themed blankets. 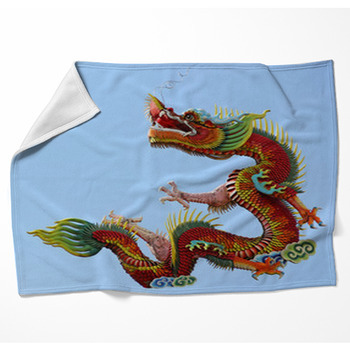 Our distinctive dragon designs look almost photo-realistic! 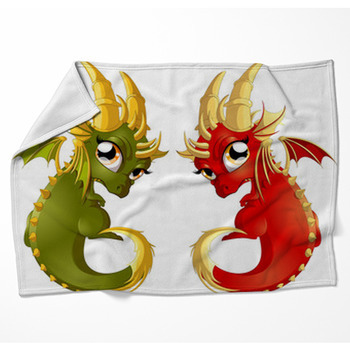 These blankets will have visitors by Tommy or Suzy's room feeling the dragon's hot breath - they're that real looking! 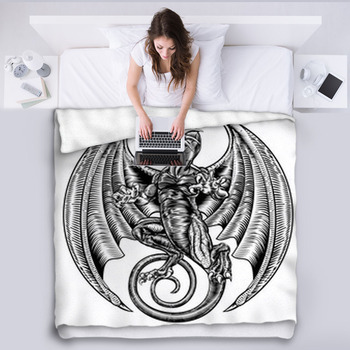 But these dragon blankets are no mere works of art. They do their job as a comforting soft blanket as well. 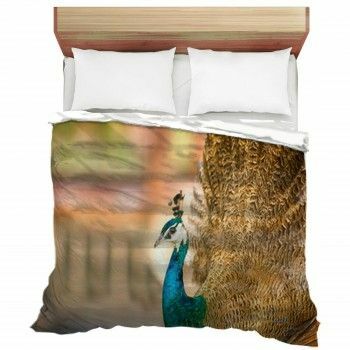 That's because VisionBedding has a unique process that will bring your photo for your custom dragon blankets to life. 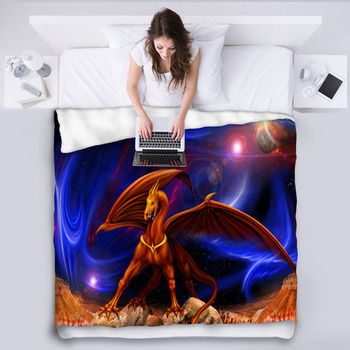 Whether its a scary dragon breathing fire or a friendly cartoon dragon, blankets from VisionBedding. 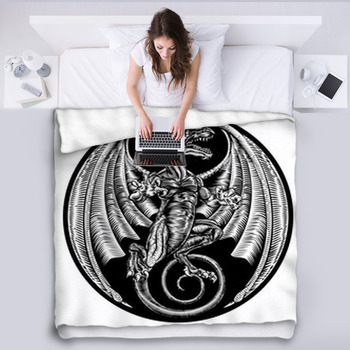 You will also find unique decorating accessories to match your dragon theme - such as dragon comforters, pillows and even rugs. 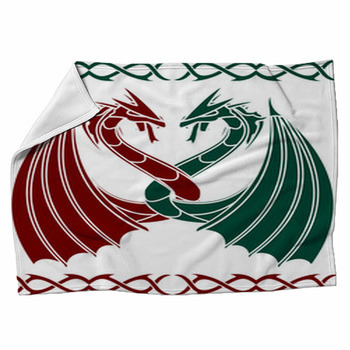 These dragon blankets are more than just fun to look at. They're just as warm and cozy as they are attractive. We call them snuggly because you will enjoy snuggling with your new blanket. 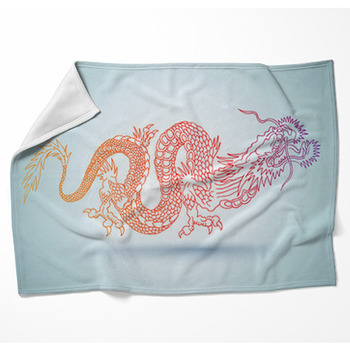 Your little ones will keep warm and comfortable, and yet the dragon blankets can handle even the most rowdy of kids. 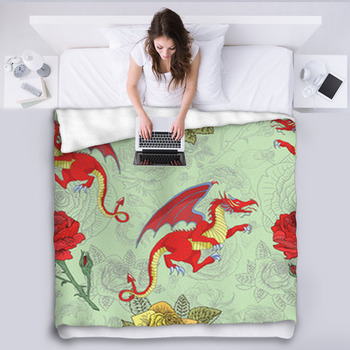 So begin designing your very own VisionBedding dragon blanket today and bring your child's fantasies to life.